How to use water therapy for weight loss? 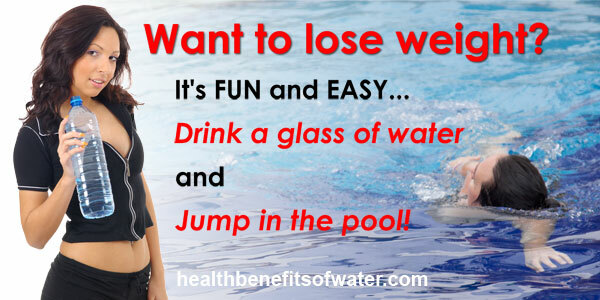 Drink a glass of water and Jump in the pool! Drinking the right amount of water each day is essential to your overall health. And, losing weight through proper hydration will also prevent premature aging. 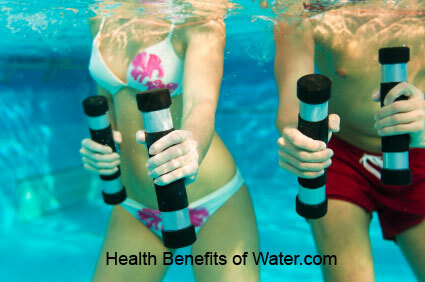 But did you know that exercising with water is a natural, inexpensive, fun way to lose weight? To understand how water therapy for weight loss works, you first need to understand how exercise works to help people lose weight. In the simplest terms, exercise increases the body’s fat-burning enzymes, which pull cholesterol out from the blood. There are two main categories of exercise: strength and endurance. Strength exercise works to build muscle, while endurance exercise works to increase stamina and endurance. When it comes to losing weight, it’s best to focus on endurance exercises. This is because this type of exercise increases the amount of time that the body’s fat-burning enzymes stay active. Aerobics, jogging or the simple walking are all examples of endurance exercises. So, how to lose weight with water therapy? Simple: water therapy for weigh loss is based on endurance exercises. Buoyancy, one of physical properties of water, makes water excellent for exercising because it enhances the range of motion and eases the pain of movement. Whether it’s swimming, aqua jogging, water aerobics, or just playing in water, exercising in water has been proven to be even more effective than exercises practiced on land. Here is an example: we compare walking and jogging for 30 minutes in and out of the water. Enrolling in a Water Aerobics program is another way to take advantage of everything water has to offer. These classes are designed to help you burn fat and lose weight, increase your strength and flexibility, and improve your cardiovascular performance.